Established in 2006, The Top House Cleaning is an outstanding cleaning company founded and operated by our director Ms. Maria. We know how much you value your home which is why you have to let us take care of it. With our top of the line cleaning solutions, you know that your house is in good hands. 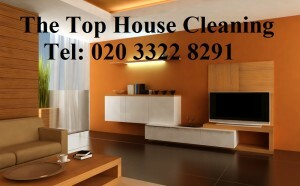 We guarantee top quality house cleaning services. Our professional cleaners are trained and fully equipped with the best skills and the best tools to make sure that your house is completely cleaned, just the way you want it. And you don’t have to worry about your home’s safety. Our years of experience and the testimonials from all our clients would tell you that you can trust us. Give us a call now at 020 3322 8291 to learn more about The Top House Cleaning and our cleaning rates, ask for your free quote.